Take exit 271. Left onto Chastain Road, right on Big Shanty Rd, first left onto Campus Loop Rd. 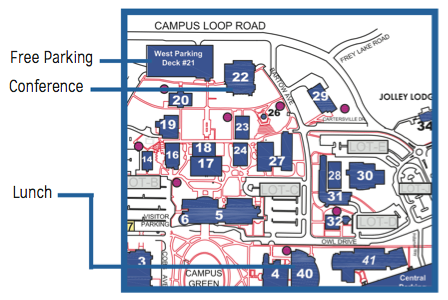 The entrance to the West Parking Deck will be on your right past the only stop sign.